Did you know… ? Members are welcome to request the use of our facility for corporate training or meetings (depending on room availability). Or, if you find yourself in between meetings and want to stop by to use our WiFi and have a cup of coffee, please drop in! 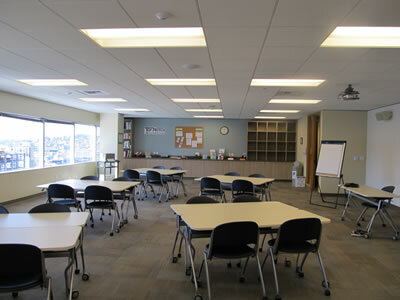 The MCAWW Training Center features moveable tables and chairs that can be configured to seat up to 30 people. The room also includes two wall-to-wall whiteboards, built-in projector and sound, an iPod docking station and many other features. 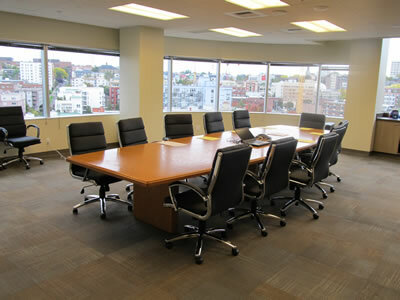 The Conference Room features a conference table with seating for up to 14. The room also includes a TV with laptop hookup, webcam and built-in sound. The suite features a break area with a coffee station and beverage refrigerator. 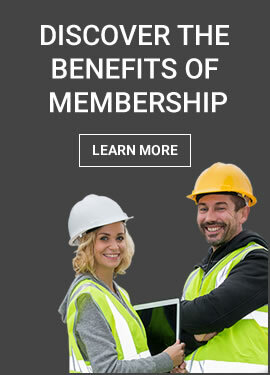 MCAWW members may book the training center or conference room for their use free of charge. Email mcaww@mcaww.net to make a reservation.